Entrepreneurs’ Organization or EO is a nonprofit organization created by 22 young entrepreneurs to help each other learn and grow. Founded in 1987, the organization has now 13,000+ members in 186 chapters and 58 countries. 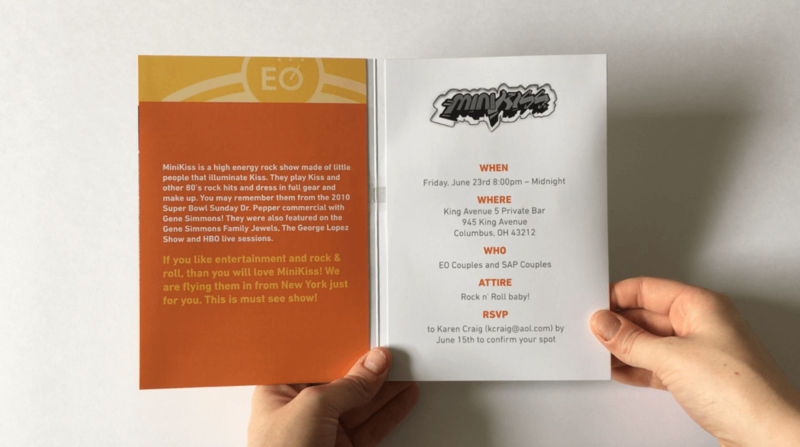 Entrepreneurs’ Organization is using bigDAWGS’ Musical Greeting Card as an invitation to their year end concert event. The concert highlights the performance of Mini Kiss, a KISS tribute band made of little people. Check out eonetwork.org for more EO events!